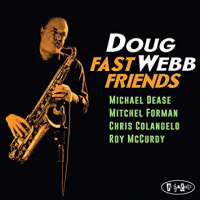 Doug Webb, a seasoned saxophonist who is equally comfortable recording soundtracks in studios or swinging on a bandstand, teamed up with heavy hitters like bass legend Stanley Clarke and pianist Larry Goldings on Midnight (Posi-Tone, 2010). 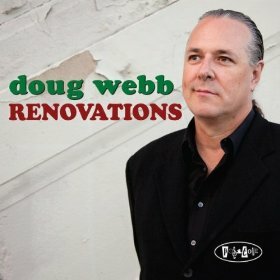 That collection was an expertly crafted, all-standards affair, and the eight classic tunes that make up Renovations were culled from the same session. While it might be easy to assume that these are second-tier, inferior performances that didn't make the cut for Midnight, that isn't the case. Webb starts off the program with a version of "Satin Doll" that's anything but a rote run-through. This arrangement shakes the very harmonic foundation of the song as it modulates upward while Webb works his way through the melody. 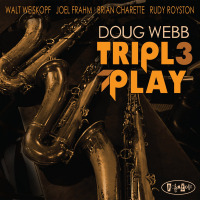 "Then I'll Be Tired Of You" is often associated with singers rather than instrumentalists, but Webb makes a good case for adding this one into the regular saxophone repertoire. Clarke controls the momentum on "I Can't Get Started," while "I've Never Been In Love Before" proves to be an album highlight. Goldings kicks this one off with a tumbling, semi-Thelonious Monk-ish distillation of the theme. 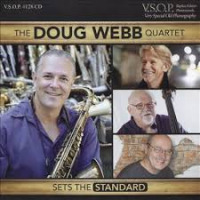 Webb exhibits a velvety tone and Goldings delivers a solo that starts with simple, yet effective, single note lines in the upper reaches of the piano. "You've Changed" is classy balladry that, while delivered with style, overstays its welcome a bit. 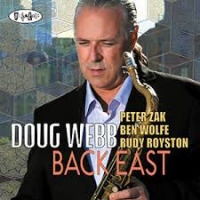 Webb's slithery saxophone work on the sans-drums performance of "They Can't Take That Away From Me," and his frantic soprano saxophone flights on the back end of "Bluesette" help to re-energize the album. By the time Webb arrives at the album closer, Henry Mancini's "Slow Hot Wind," he has nothing left to prove, and he spins out seductive, sleek saxophone lines that leave a sense of mystery and intrigue hovering in the air. Track Listing: Satin Doll; Then I'll Be Tired Of You; I Can't Get Started; I've Never Been In Love Before; You've Changed; They Can't Take That Away From Me; Bluesette; Slow Hot Wind. 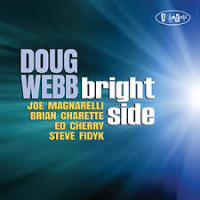 Personnel: Doug Webb: saxophones; Stanley Clarke: bass; Gerry Gibbs: drums; Joe Bagg: piano (1, 5-6); Larry Goldings: piano (2, 4, 8); Mahesh Balasooriya: piano (3, 7).